Advertising that works is exciting, stimulating and makes you desire something. It is not the kind of thing that makes you go “will you go away, I’ve already got it”. However, that’s precisely what much of the online advertising is doing these days. You search for something, buy it, and then for the next two weeks you are constantly seeing adverts about it – when you don’t want to. Is it any wonder that there’s a massive increase in the use of “ad blocking” software these days? 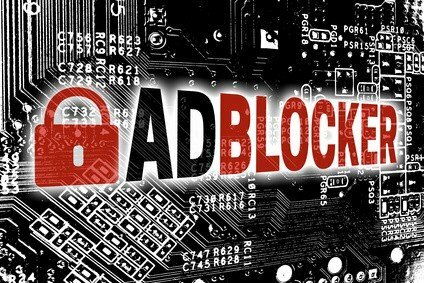 According to a study by Pagefair, the amount of ad blocking has increased by over 1000% in the past five years. This suggests that increasing numbers of people are annoyed by online advertising. Coupled with that is the decreasing click-through rate for online ads. In 2008 the average click-through rate, according to DoubleClick, was a measly 0.10% now it is 0.05%, says SmartInsights. Quite apart from the fact that advertisers are willing to pay billions of dollars a year for almost no-one to engage with their adverts, the numbers of people clicking on them have fallen by 50% in a decade. One of the biggest complaints is seeing adverts for things you have already purchased or you in which you are no longer interested. How does unwanted advertising happen? Technically, this is all to do with “cookies”. They store what you have searched for or what you have clicked on, for instance. Then as you wander around the Internet the pages that contain advertising spaces fill them up with the stuff you WERE previously interested in. However, there is an issue with this. What you were interested in about half an hour ago could be something you are no longer looking for. There are plenty of scenarios when this happens. For instance, you have searched for a present for your partner, you find an ideal item and you buy it. However, the fact that you were searching for, say, jewellery means that the cookies on your computer know that you WERE interested in jewellery. So that’s what you get adverts for. Similarly, you might have a technical issue with your computer so you search for the technical support pages of your particular brand. Your cookies tell advertisers that you are interested in those computers and until that cookie expires you will get adverts for something you already own. How do we react to unwanted advertising? The statistics speak for themselves. As we get more and more advertising the numbers of people engaging with them are plummeting. On top of that, increasing numbers of people are using ad blocking software or “incognito” windows so that they do not get faced with such adverts. The message to advertisers is clear: you are getting this wrong. The message to the search industry is also clear: your cookie-based system is so riddled with assumptions it is useless. New research gives us a clue as to what advertisers need to do. In a study of “post-purchase search marketing” (PDF), researchers from New York University worked with Microsoft to find out what is going on. They were able to show that advertising to existing customers in the same way as advertising to those who have just bought something is a waste of money and resources. In other words, the advertising industry needs to wake up and change what it does online. The trick is simple, according to this new research. People are more likely to respond to adverts for complementary products to those they have just bought. For instance, if you have sold them a fountain pen, advertise some ink. If they have bought a new car, make sure they have adverts for maintenance programmes. And so on. It shouldn’t come as a surprise that many businesses are not doing this, simply going for the assumption that someone who has searched for a product is still interested in it a week later. Research over a year ago showed that most people who do click on an advert on a mobile device are ultimately unhappy with the page those adverts lead to. That suggests that product owners and the advertising sector are not thinking things through deeply enough. They are going for what is “obvious” based on assumptions. That is not a good starting point for their business or for us as consumers. And as can be seen from the way we are reacting to online advertising, we are sending the industry a real message: get your act together, or we’ll ignore you even more. However, it may well be that advertisers do not care too much. There is more to advertising than click-through rates. Awareness is what the industry sells on. Go to a meeting with an advertising agency and they’ll have research data showing how your advertising increased awareness of your product, recall of your brand name and so on. It’s all very nice and they show impressive graphs and charts. There is no doubt that, done properly, advertising does increase awareness and keep brand names “front of mind” in consumers. However, there is little evidence that this turns into profit. I’m aware of Bentley, of Rolex and of green tea, but I haven’t bought any of them and have no intention of doing so. Yet if I were questioned after some advertising I’d appear in the statistics showing the advert had helped improve brand or product awareness. The advertisers would then be happy and say “good job” to the agency, dipping into their pockets for another campaign because it had “obviously worked”. When you measure the wrong things, you get the wrong results. Awareness is important, do not misunderstand me, however, profit is vital. And your business is unlikely to make profits if you increasingly annoy potential customers. That’s what the current form of online advertising based on cookies for past behaviour appears to be doing. Advertisers – you have been warned…! Arouse your website visitors to get instant results Arousing your website visitors by increasing their heart rate will make them depend more on subconscious decisions. yes, the information is real.